Check out our backyard (earlier this morning)…. lots o’ snow snow snow everywhere!! They say we may get up to 12 inches. 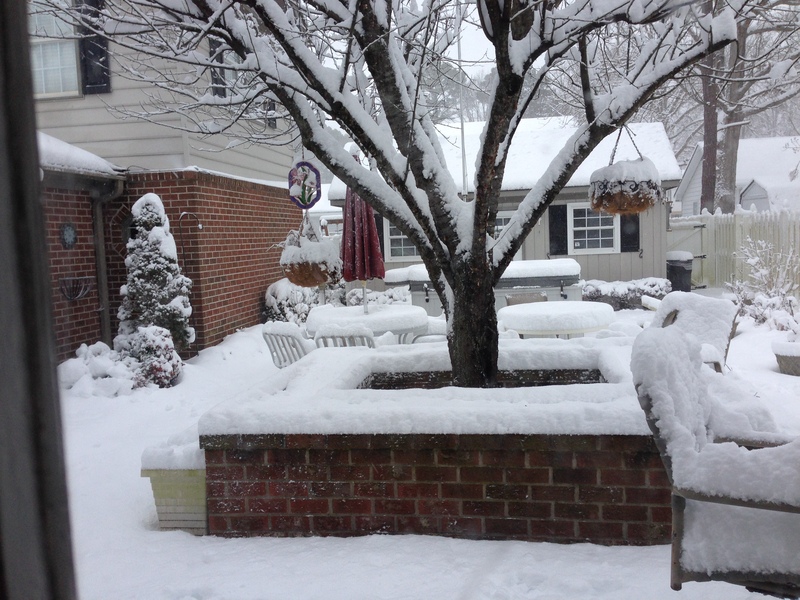 This is really unusual for us…we don’t typically get a lot of snow here in Newport News, VA…but this year we’ve gotten a lot (for our area). Read it a FEW times…even out loud. This is an insanely powerful quote. Think it about as you’re going about your day today. Then tomorrow, we’ll talk more about it and how you can use these simple 23 words to propel yourself forward while pushing past any obstacles in your way. This is literally one of my top favorite money making tools.